When you have imported all videos, audio and pictures, you can start editing your video. To start, drag and drop any media file into the timeline. When you select a video clip in the timeline, it will be highlighted in red, which means you can start editing this video clip. The first tool in the timeline you can look at is the basic adjustment tool. 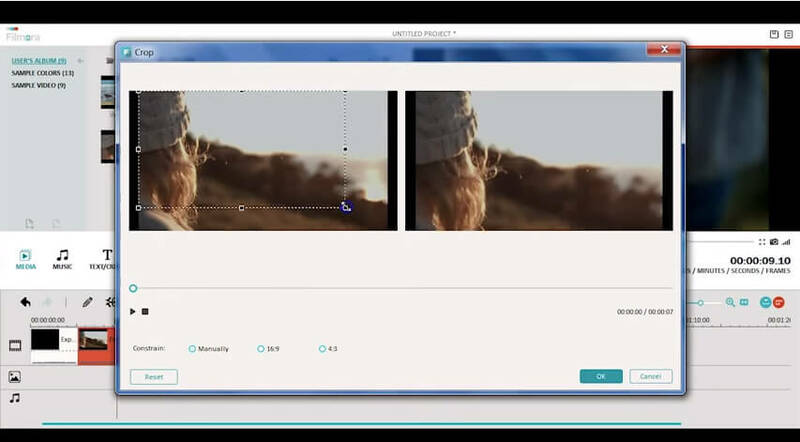 This tool allows you to make basic adjustments to your videos, photos or audio, such as adjusting contrast, rotating and adjusting speed, which help you improve the image quality and do much more. The second tool we will look at is the split tool. 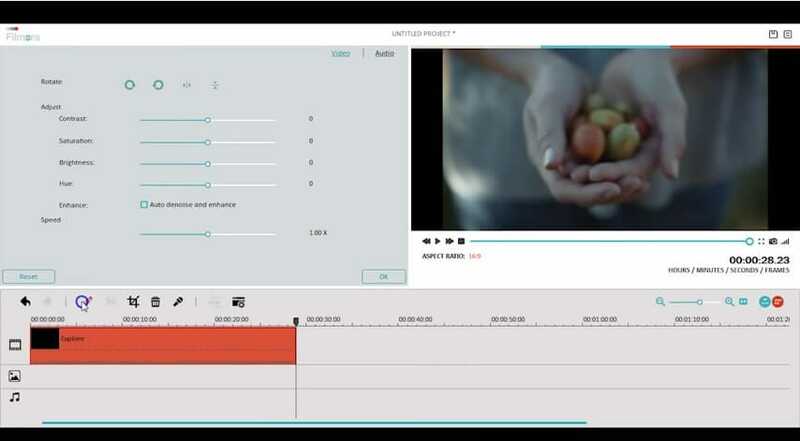 This tool allows you splice your video so you have only the scenes you want. To trim a clip, you can hover the cursor at the edge of the clip. When this icon shows, drag it to the left or right to trim the clip. If you happen to trim too much you can always adjust it by pulling the edge of your clip. There will be times when you need to get rid of unnecessary objects and keep the best scene for your video. You can also crop some of the clips. Click the Crop button, and in the pop- sup window, you can crop it manually or choose between 16:9 or 4:3.